At Keyes Toyota, we’re thankful to all of the men and women who have served our country. 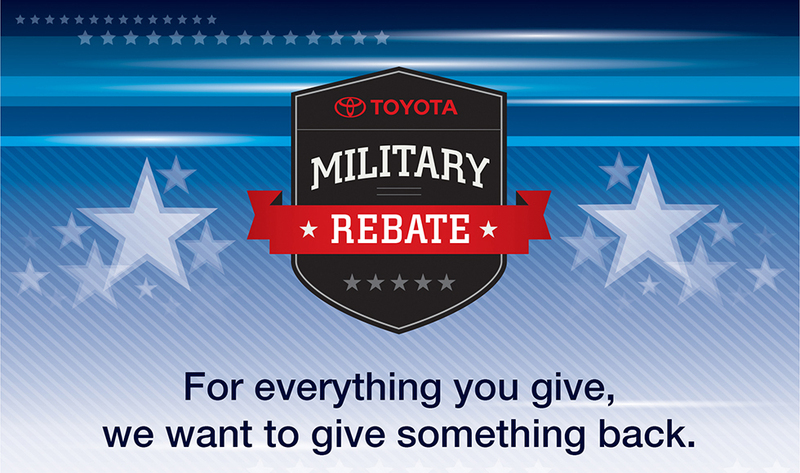 To show our gratitude, we offer a $500 rebate to active military personnel and veterans at our Toyota dealership in Van Nuys, CA. Read above for details about how to qualify, then stop by for a test drive. If you have questions or would like to schedule an appointment with our Toyota finance staff, please don’t hesitate to call us or contact Keyes Toyota online. We look forward to serving you!